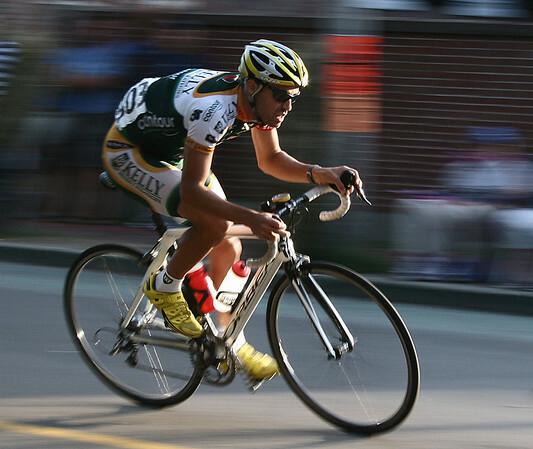 Jesse Anthony,winner of the elite men's race in Salem's Witches Cup bicycle race, rounds the corner onto Route 1A early in the race around Salem Common. Anthony, of Beverly, Mass., beat 70 other race finishers for the win. Photo by Mary Catherine Adams/Salem News.